Unlimited Soup, Salad And Breadsticks Just $6.99 At Olive Garden! You are here: Home / FREEbies / Unlimited Soup, Salad And Breadsticks Just $6.99 At Olive Garden! Until March 30, before 3pm only! 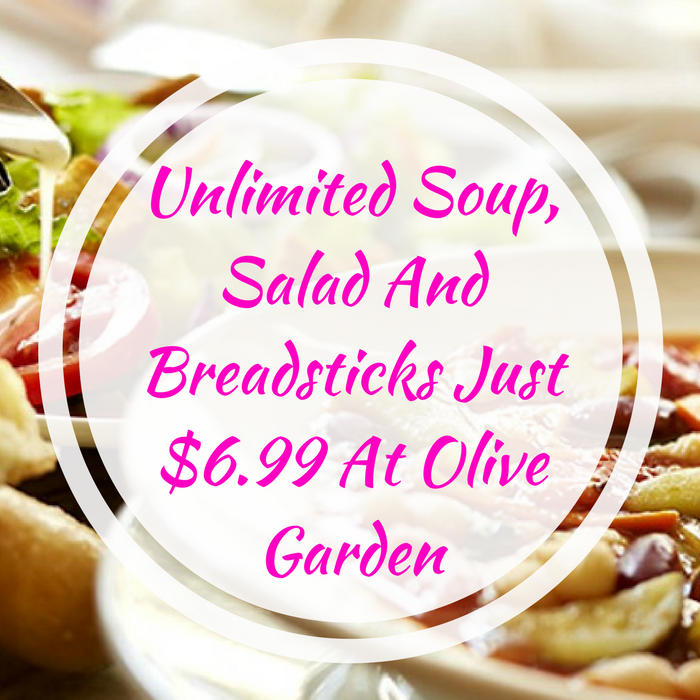 Hurry over to Olive Garden where they are offering Unlimited Soup, Salad and Breadsticks for just $6.99! All you need to do is click here to send the coupon to your phone and present it to your server at the restaurant! This is awesome! Filed Under: FREEbies, Instagram Tagged With: "Olive Garden"